IH has been putting together information about lost castles situated in the region of Locarno. Following up our two previous articles dedicated to the Castle of Magadino and the Castle of Gordola, we have created one more publication that puts emphasis on the Castelliere of Tegna, which is situated at the strategic cross point of the Valle Maggia and the Terre di Pedemonte. The discovery of this castle is recent dating to 1927. This was one of the first reports concerning ruins of ancient artifacts found on the summit of the Monte Castello, above Tegna. The interest in this discovery led to deepen the research with the first rudimentary excavations. These efforts attracted the attention of the cantonal historical authorities at the beginning of the 1940s. In the forties, there were more detailed surveys carried out on these ruins, placed in a wonderful panoramic position just over 500 meters above the village of Tegna, allowing to bring to light vestiges dating to a pre-Roman period (around the year one thousand before Christ), in particular, several walls of a probable fortification, which took the name of Castelliere (in English: sort of a castle). According to scholars, some of these vestiges even dated to the late Bronze Age. Further clear evidences of a stable human settlement were traced back to the late Roman period. All this suggests that there has not been a single constructive moment of the fortified settlement that was left unnoticed. In other words, the defensive work had been subjected to various remakes and upgrades. 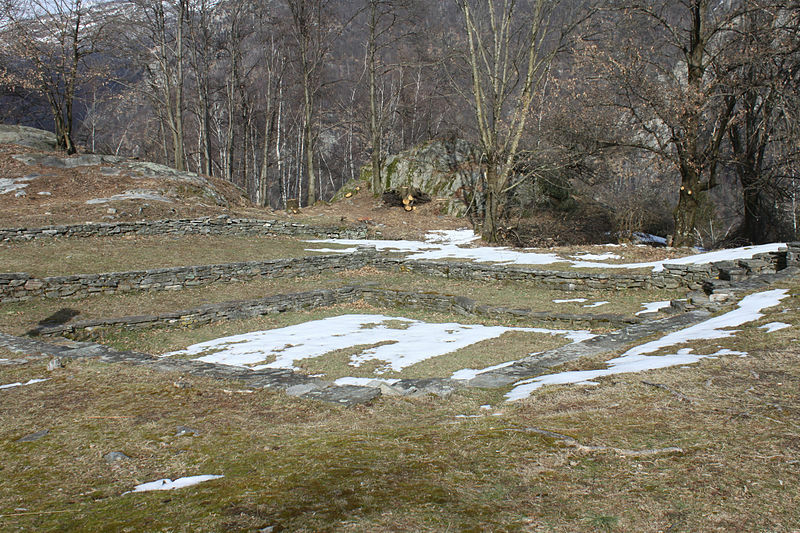 The direction of the excavations was taken by Bernese architect Alban Gerster (1898-1986). On this occasion, interesting objects were found, including several bricks, fragments of ceramic vases, glasses, metal and glass utensils. 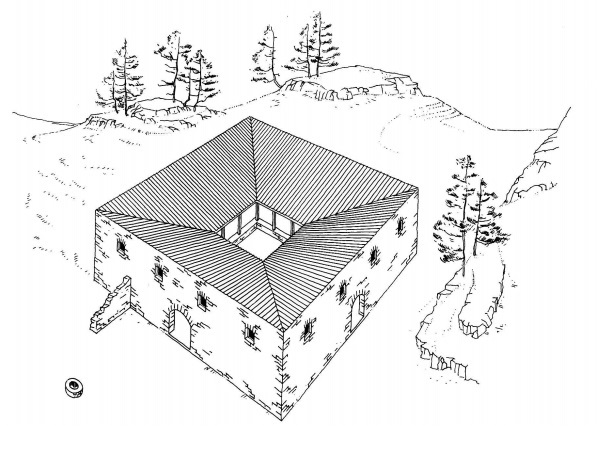 The particular arrangement of the walls, with a square plan (22 meters on each side), suggested a military position (a sort of lookout post from which an eye was kept on the access to the valleys, important routes of the communication). The military position was designed to accommodate a small garrison. From up there, in fact, the view sweeps across the delta of Maggia and Lago Maggiore. 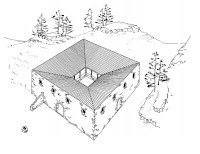 At the centre of the building, there was a cellar well carved into the rock; not far from a well of water, there was a construction several meters deep, fed with rainwater. Another well, excavated outside, west of the main building, is still visible today. The walls of the buildings were in turf, an imported stone because it is not present in the valleys of Ticino. It is curious to discover that the remains of the prehistoric huts were probably destroyed by a great fire during previous eras. Among many walks that Insubrica Historica has done in the region around Locarno, the hike to the summit of the castle is a very nice one. You will need to park the car in the centre of the village of Tegna and hike for about 35 minutes. The path is well marked, and you will enjoy a beautiful scenery from the top. Try to hike early in the morning, or late in the afternoon, you won't have any mist, and the view from the top will be spectacular. As for the scenery on the top of the summit, unfortunately, there is not much to discover, within ten minutes you will see all the vestiges - don't miss, please, the defence walls on the North side of the castle - direction Valle Maggia.